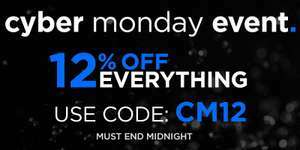 Just bee on the watch shop and the have a cyber Monday 12% off event. This can be used in conjunction with watches that already have 30% off. So up to 42% off all together!